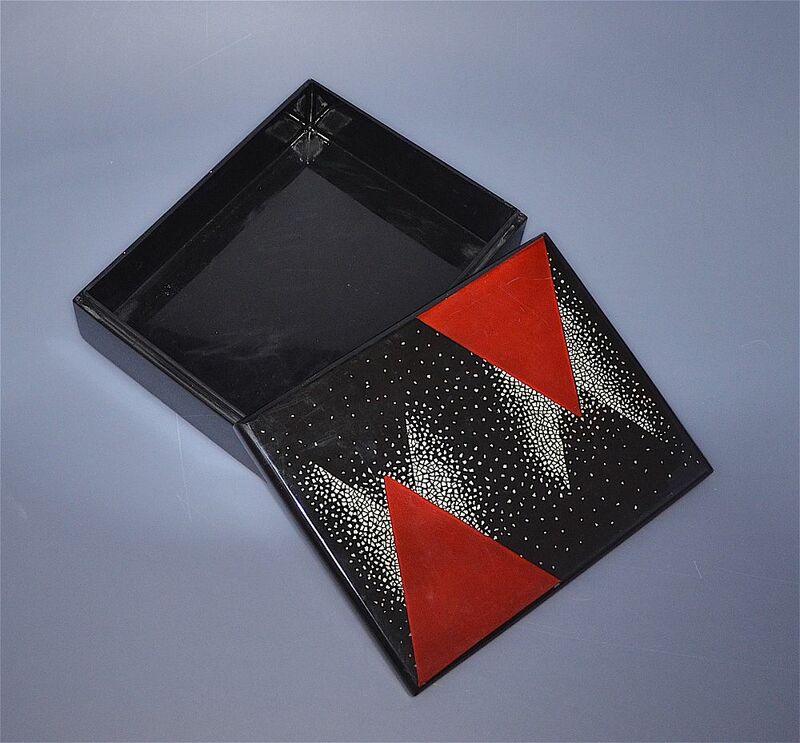 This fabulous box was made during the Art Deco period in France. 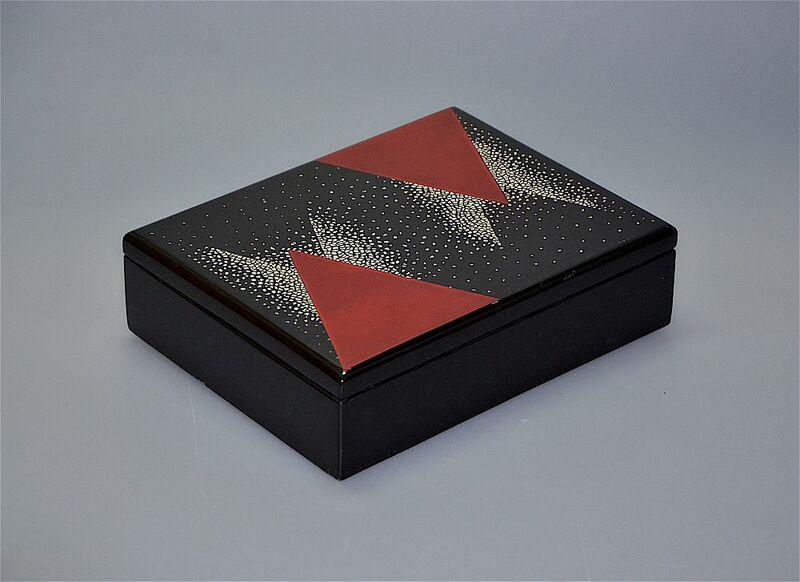 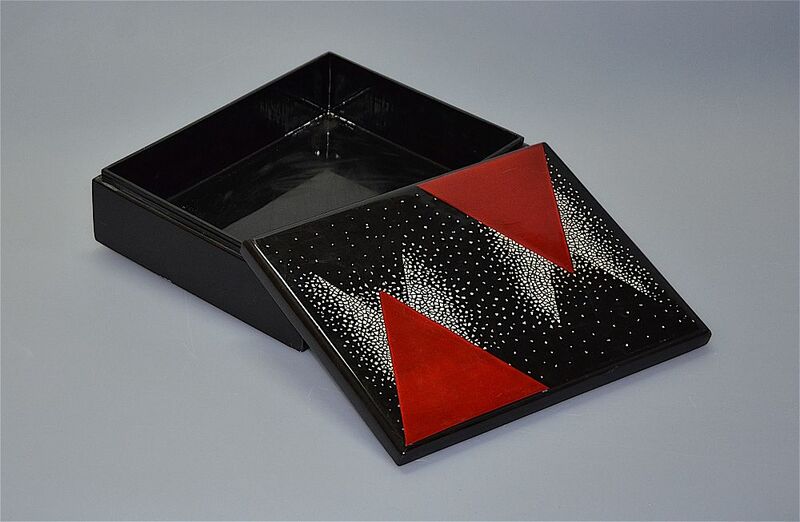 It is made of black lacquered wood and the lid has a fantastic geometric pattern of 2 large terracotta triangles interspersed with triangular patterns of coquille. 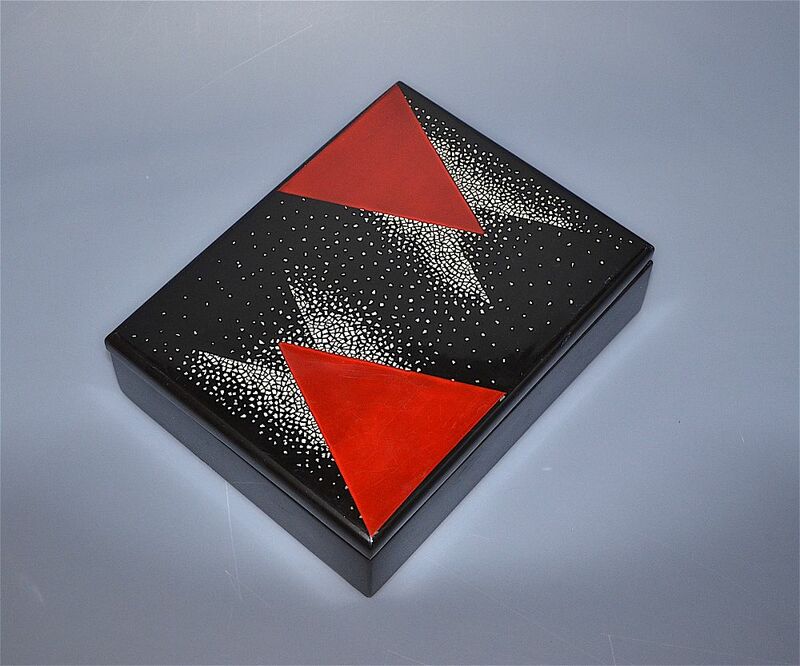 The base has "Made in Paris" in gilt lettering.